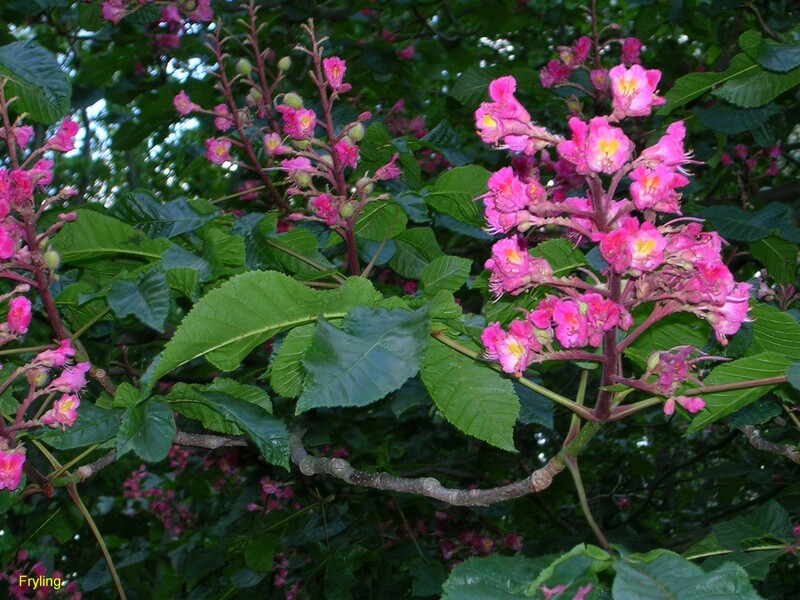 Comments: This hybrid produces beautiful pink to red flowers. Tolerates dry soil. Excellent choice for woodland gardens and other naturalistic plantings. Leaf diseases can sometime be a problem on buckeyes.